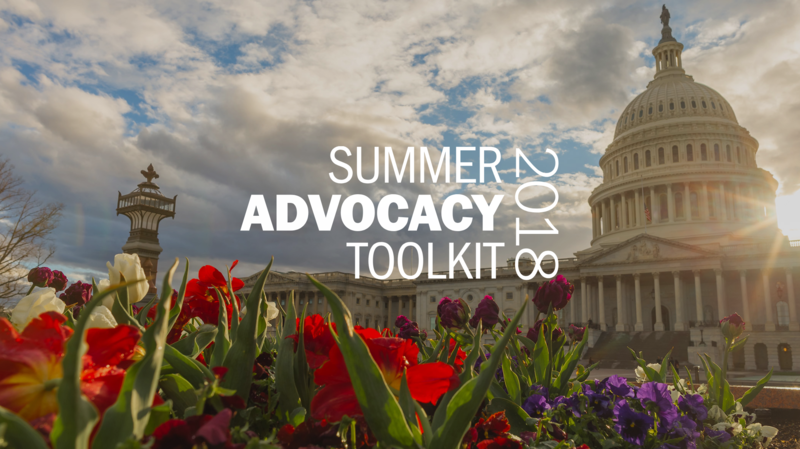 NACo releases 2018 Summer Advocacy Toolkit! Includes in-depth information, talking points, media guides and other exclusive NACo materials on key county priorities. NACo urges county officials to meet with their members of Congress as they return home for the August recess and midterm elections. As the congressional August recess continues and 2018 midterm elections draw near, members of Congress will spend more time in their home states and districts than in Washington D.C. between now and the end of the year. During this time, county leaders have an important opportunity to meet with their members of Congress at home and advocate for the most pressing federal issues that impact their communities. NACo encourages county leaders across the country to take advantage of these upcoming opportunities to interact with your representatives and senators and advocate for policies that directly impact your county. If you do not already have plans to meet with your senators and representative(s) while they are home, please reach out to their offices and request meetings. To schedule a meeting with a member of Congress, contact the office location nearest to you. Information on office locations can be found on Members’ websites. The U.S. House of Representatives directory can be found here and the U.S. Senate directory can be found here. You can also search for your representative using your zip code here. As the August recess continues and we approach the midterm elections, members of Congress will spend more time in their home states and districts than they will in Washington D.C. between now and the end of the year. This provides an opportunity for county leaders to advocate for legislative and regulatory priorities right at home. During the 2019 NACo Legislative Conference, county leaders hosted a Capitol Hill briefing on the role of counties in providing health services in jails.